Come paint these hearts floating out of a wine glass. 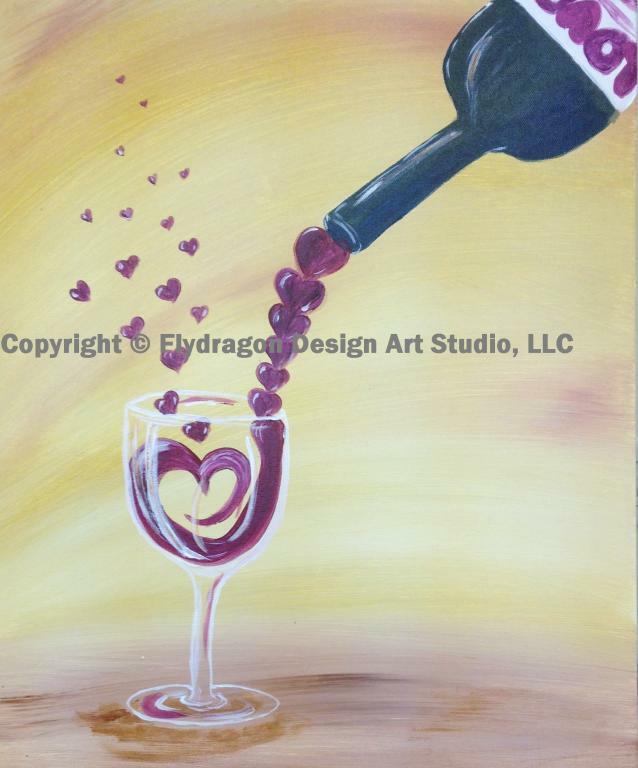 Paint with us tonight and receive a special gift! This would be great painted across two canvases!